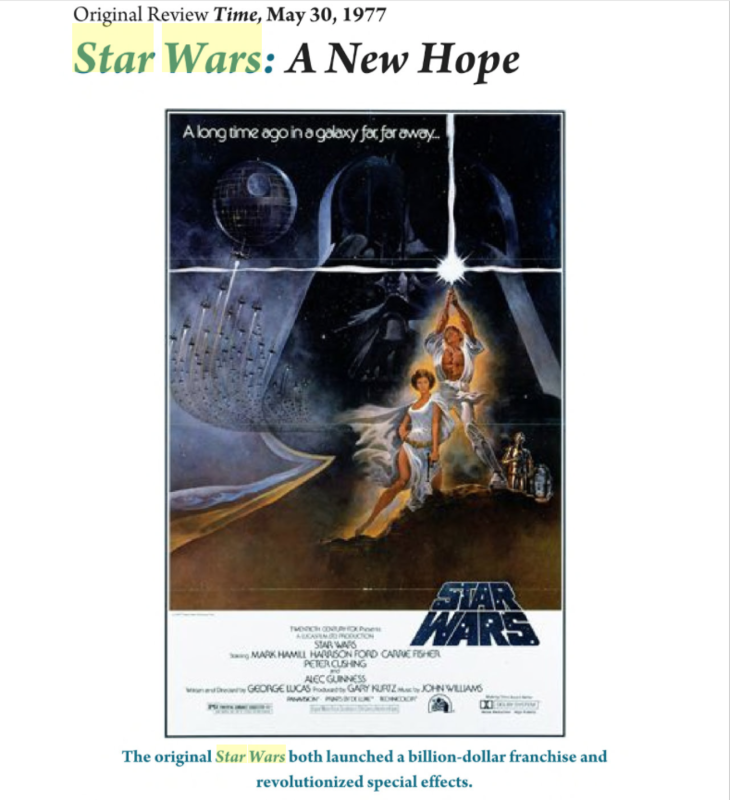 In 1977 Star Wars stunned the world, and changed cinema forever. It was a long, hard slog for creator George Lucas, who suffered physical ailments, and the possibility of financial ruin due to to all the challenges of the film. All the interviews of any of the visual effects creators, producers, and even the director himself re-assert that they had no idea that the film would be such a success. 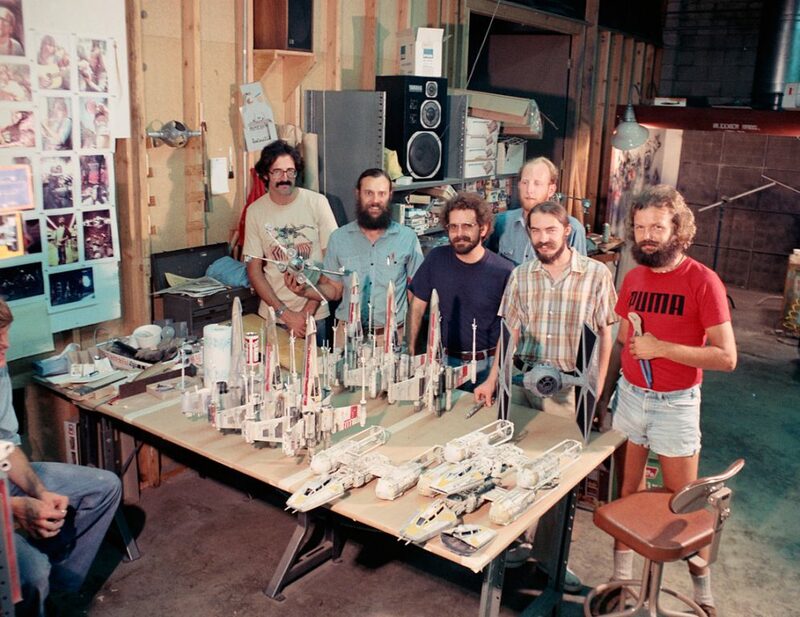 There is some evidence that this was probably not the case, as production offices and the young Industrial Light and Magic were burglarized, losing very expensive miniatures, and production artwork. The perpetrators of this particular caper, which is part of Star Wars and Visual Effects history are still at large. Little information exists in the public domain about it, and it has been rife with rumor. This makes it a perfect subject for a small archeological dig — because most of you reading this probably never knew about it. 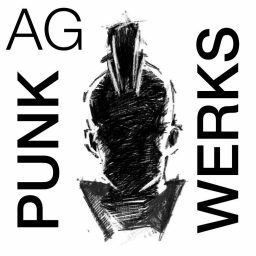 Welcome to another chapter in VFXarchaeology. Sometimes things get lost in history. In the mad rush forward to the current day, artifacts have fallen by the wayside that are either important, or interesting to the Visual Effects communities. These articles are part of digging up and re-discovering that history. Most articles are a fixed point, but occasionally update as new information arises. Lost history can be quite fluid at times. Many of the props and models used in the recently finished film are stored in a storage unit owned by Dollar Moving and Storage in Southern California. Following post production, Fox no longer wanted to pay rent on the storage facility and decided to discard everything that had been stored for the film. 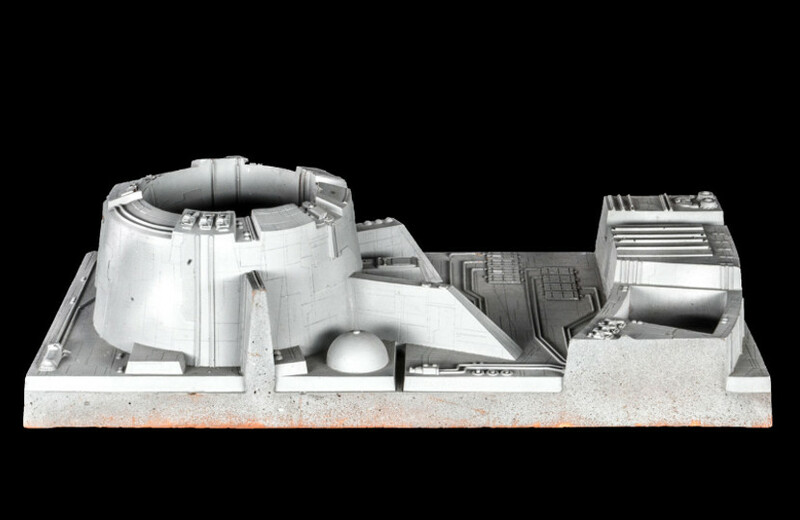 Crew members were able to save a few random pieces including the original Death Star model and segments of the Death Star trench. Most of the Death Star panels used for the final battle were thrown into the dumpster, and into the city landfill. Several decades later, Doug Smith, one of the original Visual Effects crew, was heard to exclaim “Anyone with knowledge of where that is buried, could be sitting on a fortune!” As an example, this rescued piece sold for $11,000! Lucas purchased a warehouse on Kerner Boulevard in San Rafael, formerly owned by Kerner Optical, less than six miles from his own home in San Anselmo — close enough for him to drop in unannounced at any time of day. 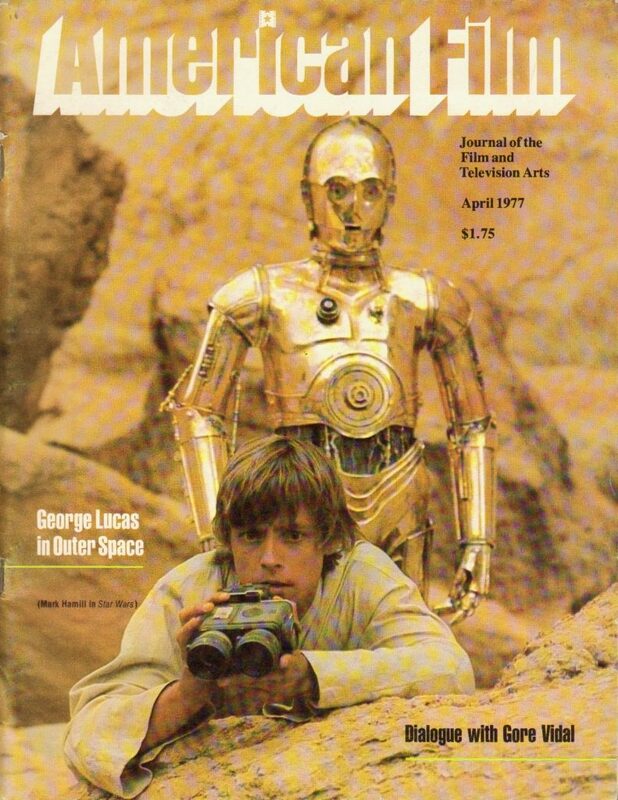 Lucas also left the Kerner Optical signs on the door to throw off prying eyes and snooping fans; several models from Star Wars had been stolen from ILM warehouse in Los Angeles, and eager fans were already pawing through the trash behind the building, looking for discarded bits of TIE fighters. During Easter weekend (April 9-10) in 1977, someone broke into publicist Charles Lippincott’s Star Wars Corp. office on the Universal Studios lot and allegedly stole hundreds of Star Wars transparencies and framed reproductions of Ralph McQuarrie’s concept artwork for the movie. On that same weekend, there was a break-in at Industrial Light & Magic’s Van Nuys studio where at least one model was stolen (reports vary on the actual number taken). Unlike the recent Indy incident, the Star Wars merchandise was never fully-recovered, although some transparencies did turn up at a convention later that year. Like Indy, the FBI got involved, but no resolution was ever reported – giving this mystery a persistent allure among fans in-the-know. There is a lot of speculation over which models were stolen, and over what time period. And really no report on the FBI involvement. It seems that the date of early April is the most agreed upon timeline at this point, but that it is not clearly documented. The RPF forum, which is a site dedicated to reconstructing accurate models that match those form films and television, is an example of that speculation. Here is the quote from RPF member Blue 5 as an illustration of that informed speculation, and frustration with the initial assumptions. Interesting, I’ve never seen a date for that story. I’ve asked but no body has ever answered, what source (documents, person, article, book) does the rumor of the stolen model come from? I’ve seen it repeated on several threads, but I’ve never seen the original source for it. My pic of the chart on model construction ends on New Years Day, do we have more model construction charts for the next year? 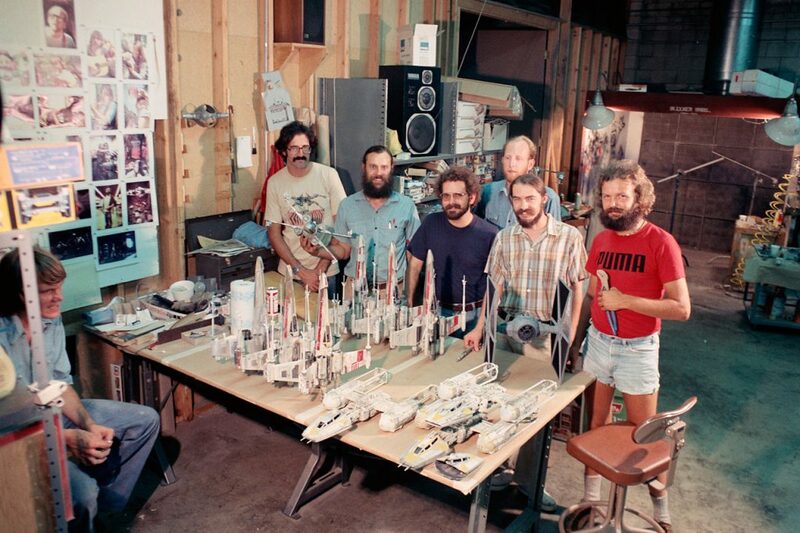 Do we have a date on when the shots of the table of models and proud modelmakers were taken? Since there are 4 documented known heros, and the Famous Spaceships article lists 5 hero models, my assumption has been that the 5th hero ship is the stolen model which would explain its lack of documentation. Is there anyone who argues the stolen ship might have been Red Leader hero or Red 5 hero, since those two are not seen in the archives today? 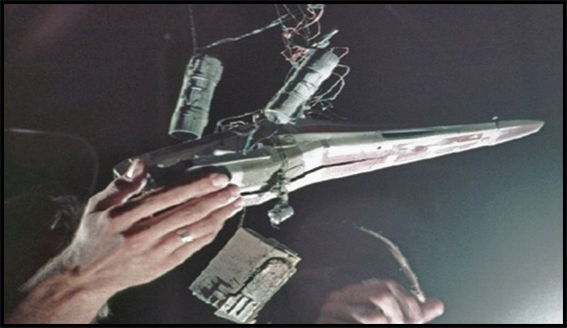 It seems unlikely either was stolen, as Red 5 is in a picture for ESB and there is so much footage shot of both models in the film itself. It seems more likely the stolen hero just never went before any camera before walking off. Nexus Models has curated these images of Jek Porkin’s ill-fated Red 6 pyro model. 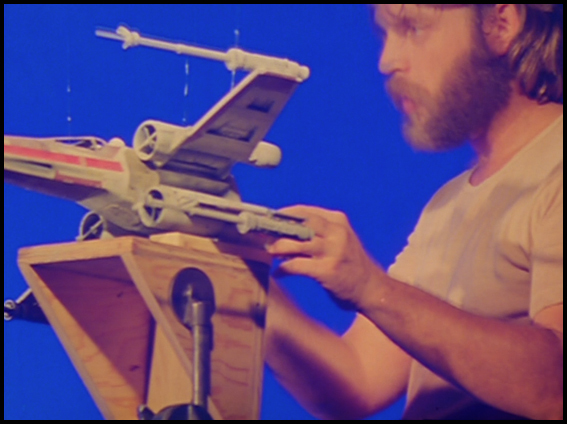 There was an X-wing model stolen from ILM during the production of ANH. It was always suspected to be an inside job, but it never showed up despite all sorts of pleas and threats from management. I had initially thought that it was Red 5, but was later told that it was just an X-wing. The reason it was a big deal at the time was that it was one of the MOCO miniatures (not a pyro), and they couldn’t be quickly replaced. Fixing the Timeline — A CLUE! 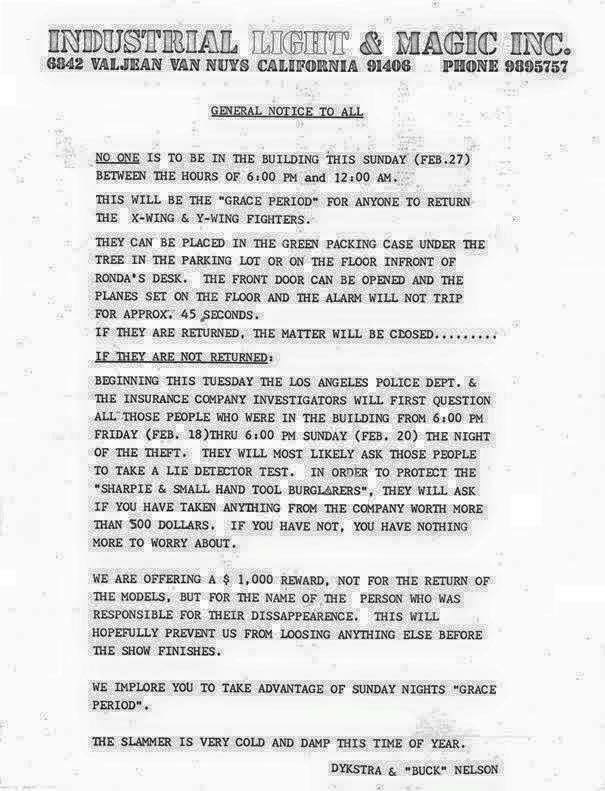 Van Nuys, California , dated Tuesday 30 Aug 1977. The article provides a lot of missing detail as to the original theft than any other source has to this date. This is the magazine that the article refers to. 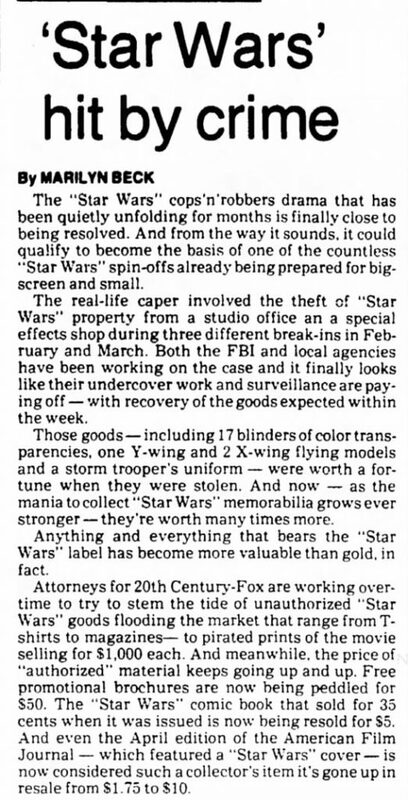 The dearth of Star Wars information and marketing goes on to support what little faith FOX had in the picture, underscoring the shock of the original theft. The American Film Journal Magazine, which the article states jumped almost ten times in value — Still worth close to that same amount. Since publishing this initial article, further details have come to the forefront. Jason Eaton, another fantastic modeler, and purveyor of all things Star Wars shares this original memo from the ILM Production office for instructions on how to return the stolen models. The missing ships may have been taken off the shooting stage, which ended up destroying a shot in the middle of production. 17 binders, one Y-Wing, and two X-wings stolen in February and March of 1977. What treasure is lost! It seems early screenings of the film, despite the visual effects being nowhere near finished, may have inspired someone that a blockbuster hit was on their hands, which was about to “unseat the shark.” It is surprising how much of Star Wars history, especially when it comes to Visual Effects, is still shrouded in mystery. I guess everyone has their own reasons to keep secrets. At least most of them do not need to keep them from the Federal Bureau of Investigation. I am certain that this violation of the production security, especially at Industrial Light and Magic — which was already in legendary hot water — furthered George Lucas’ painful memories of film directing, keeping him from the directors chair for decades afterward. At this point in this archeological dig into Visual Effects history, the missing artifacts remain lost , but as soon as evidence of their whereabouts pops up … stay tuned right here. Series Navigation << The Missing Millennium Falcon — FOUND! A deep dive into esoteric, or lost VFX methods or lore.